In September 2008, NGC released the EdgeView® holder; quite possibly the finest holder ever created to protect and showcase your collection. The EdgeView® holder includes a micro-printed label with a UV watermark and an advanced-technology hologram fused directly onto the back of the holder — that is virtually impossible to reproduce. Directional pressure welding cleanly and completely seals your coin inside the holder. 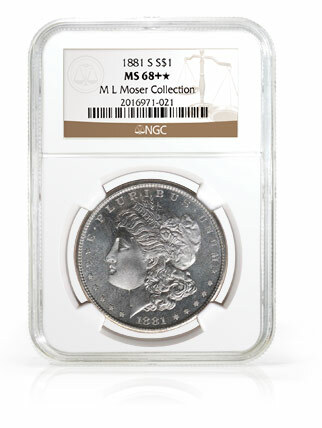 The new holder’s innovative materials are identical to those tested, and now used, by the Smithsonian in their NGC-developed museum holder that houses hundreds of the most valuable coins in the National Numismatic Collection. Plus, NGC’s lauded EdgeView® design suspends the coin within four cushioned prongs to showcase its edge and enhance the overall presentation. The next step in the evolution of protection is here! Also available on certain Grading Tiers and under a special ReHolder program is the new NGC Scratch-Resistant EdgeView® Holder. It represents the latest in optical technology by using a clear UV-cured hardcoat to reduce scratches on the holder. See our recommended method for examining a coin's edge. Take a closer look at every innovative feature with our interactive holder!